The International Olympic Committee (IOC) dismissed on Wednesday reports saying that Russia will be admitted to the 2018 Olympics after paying a $100-million fine. MOSCOW (Sputnik) — Reports on the possible admission of the Russian national team to the 2018 Winter Olympics in Pyeongchang, South Korea, in exchange for a $100 million fine is speculation, the IOC said in a statement. "Any reporting on the possible conclusions of the IOC Commissions is pure speculation. The IOC has set up two commissions led by the former President of Switzerland, Samuel Schmid, and IOC Member Denis Oswald. Their work is ongoing and no conclusion has been made," the IOC told R-Sport. Press Association Sport reported Tuesday, citing unnamed anti-doping officials, that the IOC could be close to issuing a fine worth about $100 million as an alternative to Russia's exclusion from the 2018 Winter Olympics. 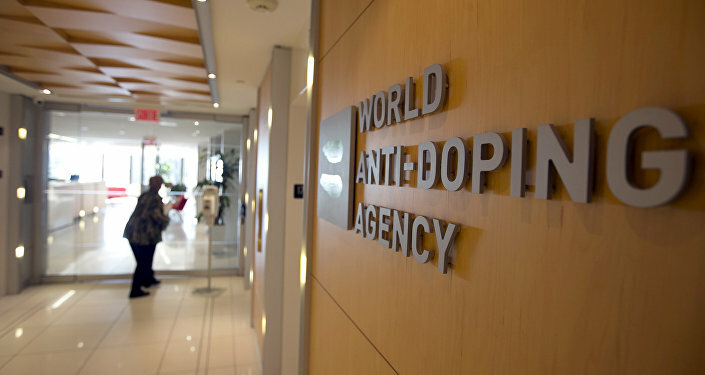 In July 2016, the WADA commission led by Richard McLaren presented a report accusing Russia of running a state-wide doping program and urged the IOC to consider a blanket ban on the entire Russian Olympic team. Following the publication, the IOC established two commissions to decide on appropriate sanctions and measures. A disciplinary commission, headed by IOC member Denis Oswald, has been given a mandate to re-examine samples collected from Russian athletes in the 2014 Sochi Winter Olympics, while an inquiry commission, chaired by former Swiss president Samuel Schmid, was addressing the "institutional conspiracy across summer and winter sports athletes who participated with Russian officials within the Ministry of Sport and its infrastructure," according to the IOC. After that, the IOC allowed a number of Russian athletes to participate in the Rio Olympics. At the same time, the International Paralympic Committee (IPC) banned all Russian Paralympic athletes from the 2016 Summer Paralympics and the 2018 Winter Games.